Tony Silvino (Éveha – UMR 5138, Archéologie et Archéométrie). Pedro Pereira (CITCEM – Porto University). 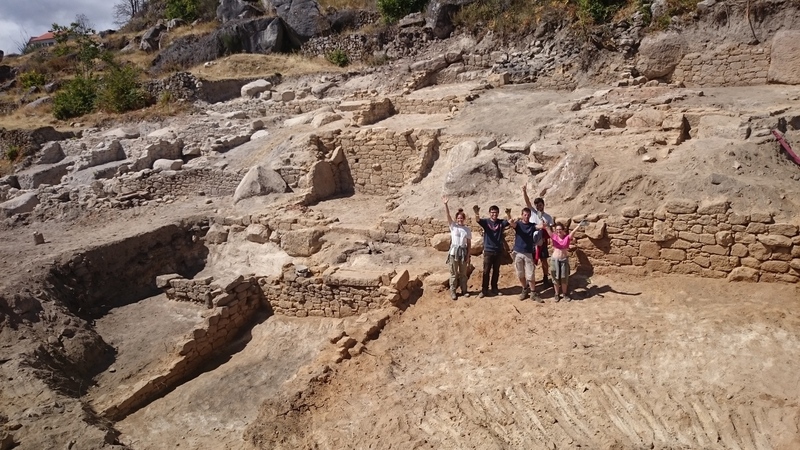 The 2015 excavations at Vale de Mir, in Pegarinhos (Portugal) provided a rich body of information about the two occupations on the site. The first occupation, which was previously represented by a rectangular stone building associated with a large retaining wall, is now well documented. This structure is part of a coherent architectural group, built using the same construction techniques and comprising several tiers on sloping ground. The first building was discovered in 2014 and consists of three matching rooms in a row, accessed by a common open space. Although most of the floor levels were not preserved, the building’s plan and the absence of material typical of a domestic structure suggest that it was a stable. A second structure was built to the north of this building, comprising a row of four rooms oriented east-west. The discovery of around 30 millstone fragments in the destruction layers may be evidence for cereal processing. To the north, this structure is lined by two areas related to wine production. In particular, there is a grape press, evidenced by the remains of a basin lined with tuileau mortar and associated with a vat for collecting the must. An area just next to this structure may have been a cellar for stocking the containers (dolia and/or barrels) used in the fermentation of the grape juice. The third element, situated downslope to the east, consists of a building next to an open space. This building is distinctive because it contains a raised wooden floor, most likely associated with grain storage. This probable granary is linked with an open space to the north, which resembles a courtyard. Material found in the foundation levels, and particularly a coin of Domitian found in the masonry of the grape press, enable us to date its construction to the end of the 1st century A.D. These buildings appear to have been destroyed by a fire during the 3rd century. 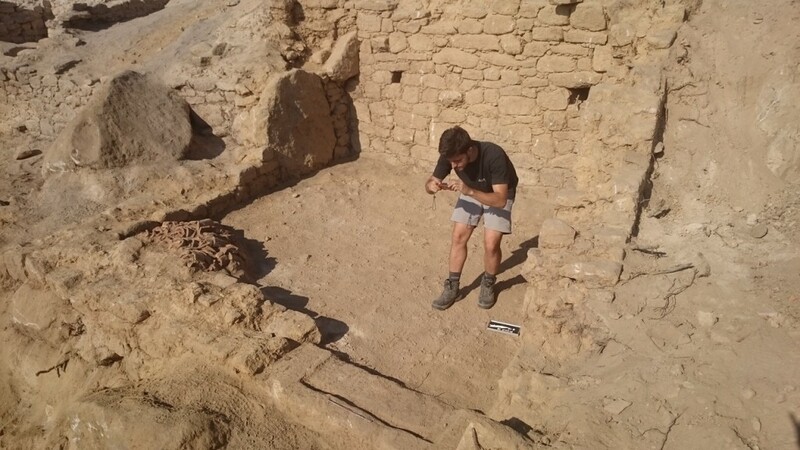 Ultimately, the various spaces discovered in this area seem to be associated with the processing of natural resources, in this case, cereals and grapes. 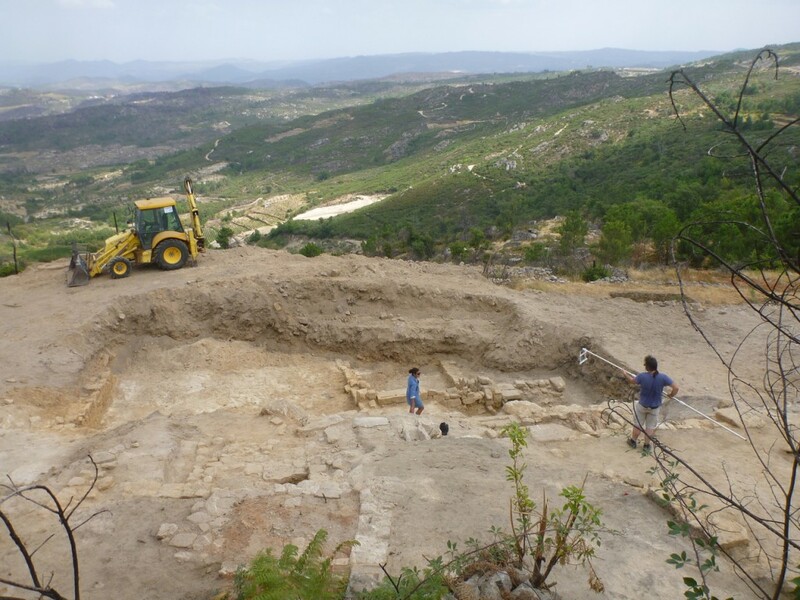 Though small in scale, the evidence for wine production at this site is nevertheless the earliest known in the Duoro valley. 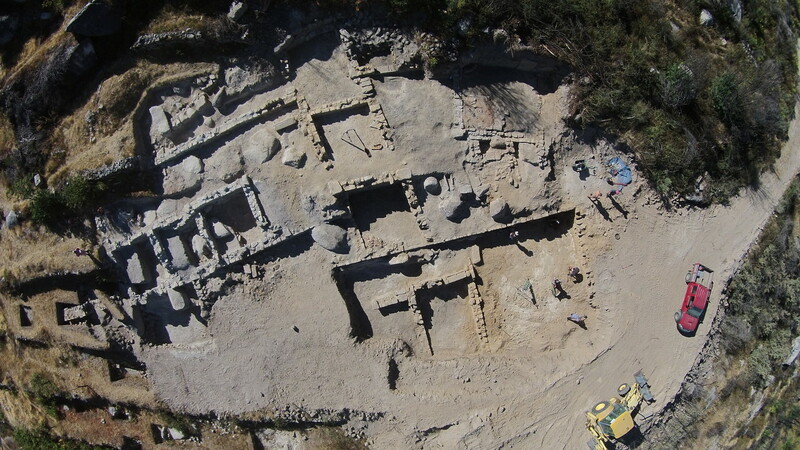 This architectural ensemble destined for economic activities most likely belonged to a rural establishment, the residential part of which is probably located to the south, near the village of Vale de Mir. As regards the second occupation, this developed on the ruins of the first, and involved the re-use of earlier construction materials. The main features discovered this year consist of an oven or kiln, whose function has yet to be determined, and in particular a zone used for metalworking. Also noteworthy is the discovery of two deposits of coins “hidden” within the same wall, which date principally to the second half of the 4th century.